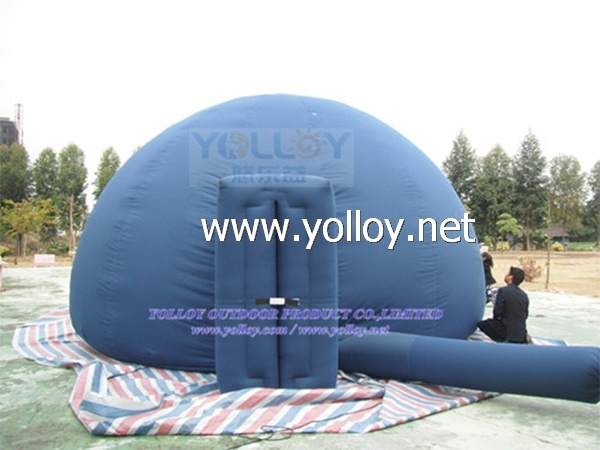 Protable planetarium Inflatable Dome is made by anti-stretch fabric material. The dome can be set up in 15 minutes. fireproof and durable If you don' t have a fixed planetarium hall or dome yet, we can provide you the inflatable dome.Our dome is made by anti-stretch fabric material. The inner of the dome is Special coated which is special for planetarium's display. The air in the dome can exchange with the air outside any time .The installment is very convenient, so long as open the dome, turn on the air blower and the air curtain connection, the dome can be installed in 15 minutes. 7) diameter 10M, height:5.7m For more information, please contact us.